Franklin Matters: Voices of Franklin: Simon - "Today was about being positive and hopeful"
Voices of Franklin: Simon - "Today was about being positive and hopeful"
Today (Wednesday) was a proud day at work! I work at Horace Mann Middle School in Franklin MA. 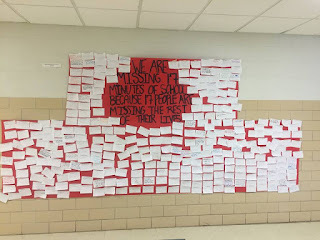 The students at our three middle schools and high school were able to show support for families whose lives were affected by school shootings and we able to voice their opinion through a walkout. 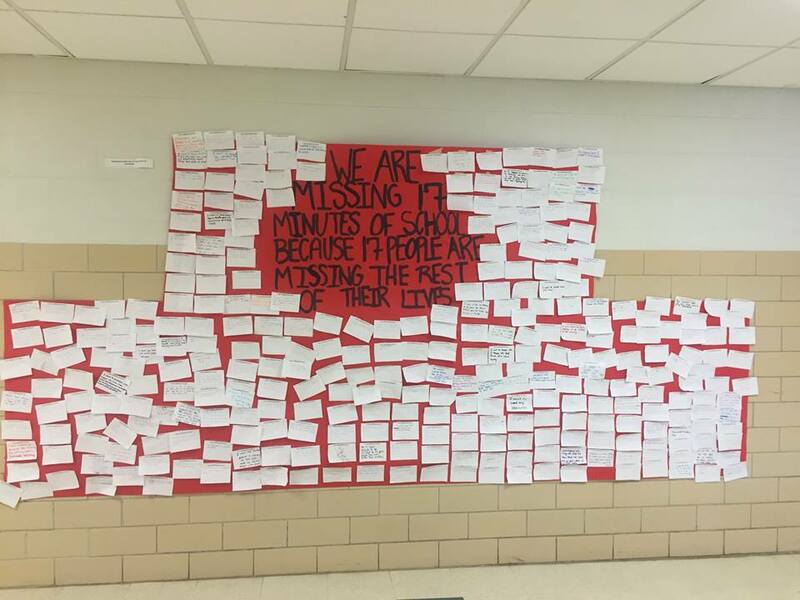 This was organized by the students at the schools. We have a wonderful program here called A World of Difference and those students helped to organize this. This was all student led with guidance from staff and administration. They presented their ideas to administration and staff and worked with them as well as local law enforcement to make it work and to be safe. We all wanted to give all students a voice, to let them own this and let them know we are listening. It was very powerful. It gave many of us chills as we watched them handle this with such maturity and grace. You should be proud! I know I am and remembering all of those who cannot do this, who don't have a voice anymore. The peer leaders also came up with a solution for those students who did not want to participate which was wonderful because they too have that right. It was so wonderful and powerful because it shows that they took time to think of others and respect them. This is a time to show our children that we support them, show them love, compassion and understanding. Again, so proud. Remember, we come to work and students come to school with the possibility that something tragic could happen at our school. This has become our new reality. It is sad. Le't show respect to all. Let's come together to come up with solutions, let's talk face-to-face and let these students how we can help them make changes. Let's get this generation to vote and become an ever greater voice! If you saw what happened today, you would know they CAN do it and WILL do it. They conducted themselves in a mature, brave, thoughtful and very reflective manner. Today was about being positive and hopeful, nothing else. It made me hopeful and with tears in my eyes. Note: Beth had shared this to a Facebook group and gladly granted permission to share more broadly here.